Is refinancing easier than buying a home? A refinance is just as easy to get as your first mortgage… right? 1) you already have a loan on the home, you make your payments, so it should be easy to refinance. Sorry… Not true on either count. – Your financial situation could have changed. Do you have the same job, same income? Better or worse? How about credit. Better or worse? – Mortgage loan Underwriting guidelines have changed. The crazy days of every getting a loan are long gone. Be are back to old school traditional financing guidelines. Did you buy the home on a program that no longer exists… like a no documentation loan? – With all the foreclosures, your properties value probably went down. How does that play into your refinancing options? Most people refinance for three main reasons. The good news is that mortgage rates in MN and WI are amazingly low right now, and lenders are still providing home loans everyday. If you are thinking of refinancing, but have been scared away by thinking you can’t for some of the reasons listed above, you are making a big mistake. Contact a local MN or WI mortgage company with a licensed Loan Officer. Fill out a full application, and let them review your situation. You may be very happy with the answer! ** WORD OF CAUTION: Many people make the mistake of just calling their existing lender. Almost exclusively, EVERY OTHER lender will have a better deal for you. Be sure to call more than just your current company. St Paul, MN: For many reasons, a lot of home owners have attempted and succeeded in getting their current home mortgage loan modified. Modifications come in many forms, including reduced interest rates, both short and long-term, principal forgiveness, etc. Modifications, and short-sales, terms never heard of just four years ago, are now commonplace. Lenders have struggled on how to deal with this phenomena in terms of underwriting guidelines for future credit. Short-sales for example, are generally treated by lenders as a foreclosure. While there are some exceptions, those doing short-sales generally have no benefit credit-wise over a true foreclosure. Now lenders are starting to deal with modified mortgages, and the determination isn’t good for the consumer. While it is still the beginning of a new credit requirement, lenders are starting to refuse to refinance any customer who currently has a modified loan. Research with lenders shows significantly more restrictive guidelines for refinancing mortgages that were previously modified for the purposes of assisting the borrower (defined as “restructured loans” by Fannie Mae and other investors). Simply put, if you have a “modified” mortgage loan, expect that you may not be eligible to get refinanced in the future! Forgiveness of a portion of principal and/or interest on either the first or the second mortgage. Application of a principal curtailment by or on behalf of the investor to simulate principal forgiveness. Conversion of any portion of the original mortgage debt to a “soft” subordinate mortgage. 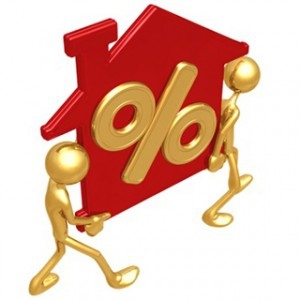 Conversion of any portion of the original mortgage debt from secured to unsecured.